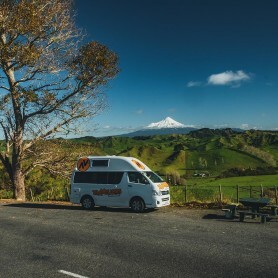 So you’re planning your first ever camping trip in New Zealand; as first time campers you may struggle decided what you need to take. But don’t panic; as you become a more seasoned camper, packing will become easier and your trips will become even smoother. 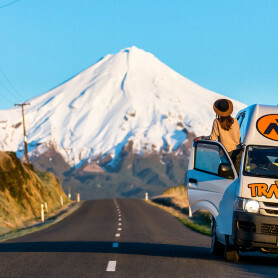 New Zealand is a fantastic place to camp with its breathtaking national parks, majestic snowy capped mountains, idyllic beaches and stunning lakes. With no shortage of camping locations you can check suss out where to camp by using the Travellers Autobarn road trip app. A tent is a must for your camping trip (unless of course you’re travelling in a campervan!). When purchasing your first tent, be sure to have an experienced salesperson help you. Let the salesperson know you are a novice camper. You want to get one that will meet your needs and that you are comfortable with. You will need to be able to pitch the tent easily. You will definitely need sleeping bags. If you are purchasing new ones, be sure to consult as to which are best suited to the climate. You may want to bring along an air mattress as well, as you know having a comfy night sleep is essential. 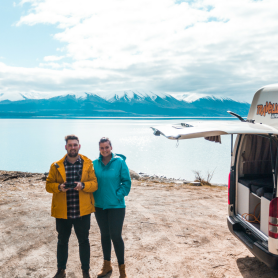 Even if you’re in a campervan, they do still get chilly at night and it’s worth taking extra blankets with you and/or taking a heater that you can plug in with you. You will want a portable camping stove, pots and pans, coffee pot, and other cooking utensils. If you are going to a campground, you can check ahead of time to see if they have picnic tables and benches, if not you should plan to bring a folding table and chairs as well. If your campervan has a stove, then you’ll need to make sure you’ve got enough gas. You can also consider hiring an outdoor table and chairs if you fancy a bit of al fresco dining! Take your first aid kit with you when you go on hikes or other journeys away from your campsite. Sunscreen is something you must have on your camping trip no matter what time of year. Even those with tanned skin should apply sunscreen when outside for prolonged periods of time; sun damage is a souvenir none of us want to take home. Hiking in the snow or skiing makes you even more prone to sunburn as the sunlight reflects off the snow, and no one looks good with a goggle burn! There’s something about the great outdoors that sparks one’s appetite and thirst, so make sure you’re not shy with your snacks and water packing. These essentials may be all you need to hike Franz Josef or kayak along Milford Sound. Whether you’ve got a solar, LED powered or battery flashlight, or even a flame lantern, make sure you don’t forget it on your ultimate camping experience. Have plenty of matches on hand and keep them in an airtight, waterproof container. If you are going to start a fire, make sure it’s in a safe zone where fires are permitted. If you are camping at a campground, they may supply local maps. If not, be sure to pick some up along the way. You never know when the weather will take a turn. If you have a lightweight waterproof jacket, you can roll it up and carry it in your backpack when going on your hikes. Carrying a knife has long been a tradition throughout history, when the Romans invented the first folding pocket knife that we still use today. We’d recommend taking one of these on your camping trip, as your pocket knife serves as a multipurpose tool and can be very useful in many situations. This list of must-have items will get you started on your first camping venture. As it gets closer to your departure date, be sure to add your other must-haves items to this list. One major piece of advice we always give though, try to pack as light as possible, you’ll be the one carrying your gear! Believe us, your trip will be much more enjoyable without a 100 kilo backpack! 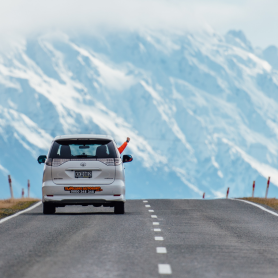 Planning your Australian Road Trip – head over to the Travellers Autobarn for rental and sales enquiries.